For the first time in history, an enemy has smuggled a nuclear weapon across the porous Southwest Border into the United States. Border agents, the FBI, the NSA and the CIA join forces with international law enforcement agencies to learn who has the bomb and what the target is. Intel agents scour the world for clues, suspecting Al Qaeda, Hamas and other terrorist organizations, but come up empty. The only name that keeps rising to the top is a mysterious Mexican named Martin Alvarez. A wild shootout on a Paris street turns the search in new directions. Seven suspected Al Qaeda terrorists are hit by bombs on an Air Force bombing range in Arizona and an ultra liberal professor with connections in the Middle-East is murdered in Pennsylvania. Each incident serves only to confound investigators. The common threads and increased border activity lead to Arizona as the potential target. 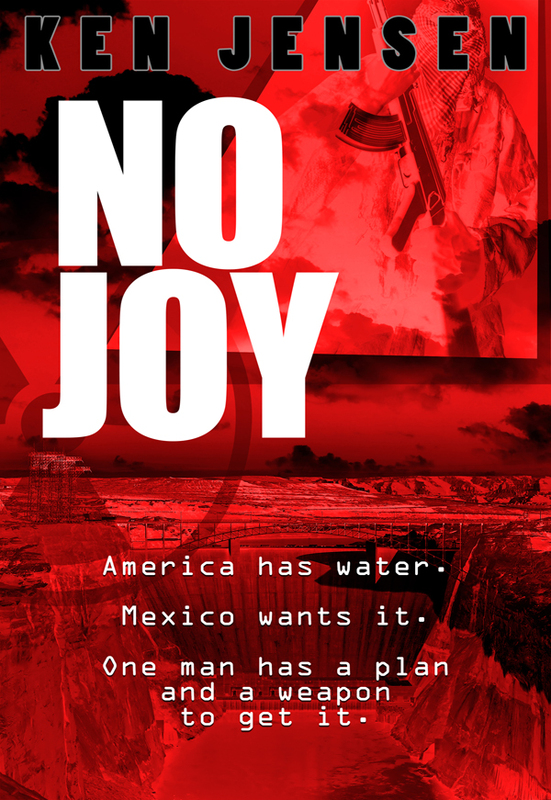 The mysterious Alvarez is actually a retired Mexican Army General who would use the weapon to force more water into the Colorado River to irrigate water-starved Mexican farms and ranches. As Alvarez is about to succeed, the bomb is stolen and its timer set to explode. When it detonates, more than 70,000 people will be instantly incinerated. No Joy is as fresh as today’s headlines. Al Qaeda continues to threaten Americans everywhere. Mexican drug cartels are pushing their violence closer to the ever porous border as they fight each other for dominance in the drug trade. Homeland Security and other federal agencies reach new levels of cooperation in the struggle to prevent another 9/11. You can purchase the book online from Amazon or Smashwords in multiple eBook formats at http://www.smashwords.com/books/view/393993.